A hologram is a physical structure that diffracts light into an image. 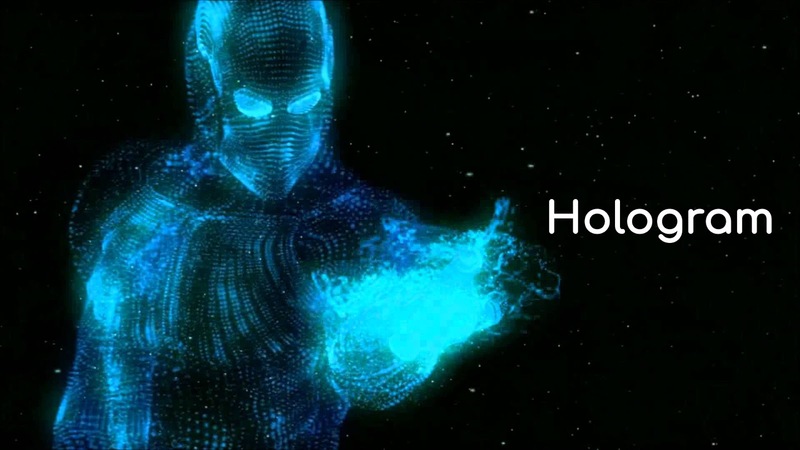 The term 'hologram' taken from the Greek words holos (whole) and gramma (message) and can refer to both the encoded material and the resulting image. The theory of holography was developed by Dennis Gabor in 1947. The development of laser technology made holography possible. A holographic image can be seen by looking into an illuminated holographic print or by shining a laser through a hologram and projecting the image onto a screen. Unlike 3-D or virtual reality on a two-dimensional computer display, a hologram is a truly three-dimensional and free-standing image that does not simulate spatial depth or require a special viewing device. Holograms pop up in movies such as "Star Wars" and "Iron Man", but the technology has not quite caught up to movie magic yet. Various types of holograms have been made over the years, including transmission holograms, which allow light to be shined through them and the image to be viewed from the side and rainbow holograms, which are used for security purposes on credit cards and driver's licenses. So, how does holography works? To create a hologram, you need an object that you want to record, a laser beam to be shined upon the object and the recording medium, a recording medium with the proper materials needed to help clarify the image, and a clear environment to enable the light beams to intersect. First laser beam is split into two identical beams and redirected by the use of mirrors. One of the illumination beam or object beam, is directed at the object. Some of the light is reflected off the object onto the recording medium.